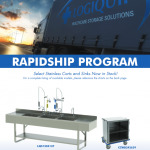 LogiQuip’s stationary reprocessing sink is manufactured with 304 grade stainless-steel. Standing at a fixed 37” tall, this sink comes standard with a water gun and air gun for cleaning instruments. We can also create a sink custom for your teams needs. By allowing our team to come onsite and evaluate your teams needs, LogiQuip has solution for you. 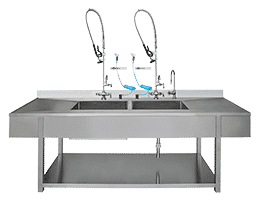 LogiQuip’s height adjustable reprocessing sink is manufactured with 304 grade stainless-steel. This sink has a push button adjustable height option ranging from 35” tall to 42” tall. 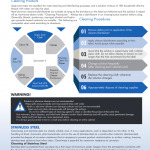 This allows for improved ergonomics while reprocessing instruments. This sink also comes standard with a water gun and air gun. LogiQuip’s knee operated sinks is designed to prevent the user from bending or touching a button. The knee operation controls both the soap and the water. 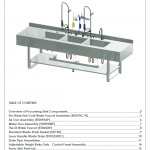 This sink is made with 304 grade stainless steel and available in single, double, or triple basins. LogiQuip’s deluxe sink is a great combination that includes both the knee operated and infrared operated controls. The infrared sensor is the main operation but has the knee operated water and soap as a backup. k.
LogiQuip’s infrared operated sink has a sensor located on the front of each station and is activated by motion. There is a 2 second on/off delay for water flow. This prevents water activation by simply walking by the sink.